Married Name circa 1902 As of circa 1902,her married name was Fuchs. Edith (?) was born circa 1874 at Wisconsin. She married William Fuchs circa 1902. [S250] U.S. Federal Census 1930 U.S. Federal Census, by Ancestry.com, ED56-27. Dwelling 94. Married Name circa 1924 As of circa 1924,her married name was Knuth. Theresa Fitzgerald was born in 1894 at Wisconsin. She married Emil Wilhelm Karl Knuth, son of August Heinrich Knuth and Augusta Pooch, circa 1924. Theresa Fitzgerald died on 17 November 1954. [S273] Wisconsin Sauk County, Wisconsin Cemetery Records, page 80. [S250] U.S. Federal Census 1930 U.S. Federal Census, by Ancestry.com, ED56-31. Dwelling 148. Howard James Knuth married Ramona Kathleen Walsh. Howard James Knuth was born on 11 July 1925 at Wisconsin. He was the son of Emil Wilhelm Karl Knuth and Theresa Fitzgerald. Howard James Knuth died on 22 September 1998 at age 73. Howard James Knuth obtained US Social Security Card at Wisconsin; last residence Reedsburg, Sauk, Wisconsin. 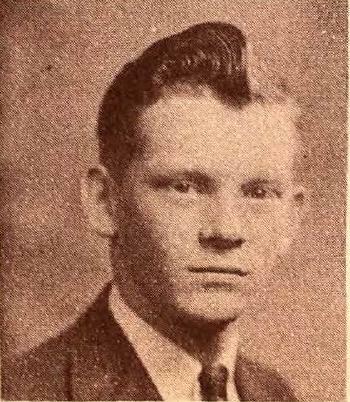 He graduated in 1943 at Reedsburg High School, Reedsburg, Sauk, Wisconsin. Lyle L. Knuth was born on 10 August 1926 at Wisconsin. Lyle L. Knuth died on 8 April 1999 at age 72 Lyle L. Knuth, age 72, died on Thursday, April 8, 1999 at home of an apparent heart attack. He was born on August 10, 1926 in Reedsburg, the son of Emil and Theresa (Fitzgerald) Knuth. He married Lila Norton at Sacred Hearts Church in Reedsburg on April 11, 1953. Lyle was a veteran of World War II where he served in the Army and was a member of the Sun Prairie Lions Club, Knights of Columbus, Legion Post 333, and the VFW Post 9362. He is survived by his wife, Lila; three children, Rita (Brad) Walker of Stoughton, Buster Larry (Karen) Knuth of Sun Prairie, and Renee (John) Melotik of Hampshire, IL; three grandchildren, Brent Walker, Lucas Melotik, and Angela Melotik; two brothers, Gene (Helen) Knuth of Reedsburg and Leo (Joan) Knuth of Janesville; a sister, Dorothy (John) Jones of Janesville; two sisters-in-law, Raniona Knuth of Reedsburg and Marcia Knuth of Janesville; and many nieces and nephews. He was preceded in death by his parents and two brothers, Howard and Donald. A Funeral Mass will be held at 11:00 a.m. on Monday, April 12, 1999 at Sacred Hearts of Jesus & Mary Catholic Church, 227 Columbus St., with Father Duane Moellenberndt officiating. Burial will be at Sacred Hearts Cemetery. A visitation will be held from 3:00 p.m. until 7:00 p.m. on Sunday, April 11, 1999 at the Tuschen-Newcomer Funeral Home, 302 Columbus St., in Sun Prairie, where a final salute will be held at 6:30 p.m. by the American Legion and the VFW. Lyle L. Knuth obtained US Social Security Card at Wisconsin; last residence Sun Prairie, Dane, Wisconsin. He graduated in 1944 at Reedsburg High School, Reedsburg, Sauk, Wisconsin. Dorothy Knuth married John S. Jones. Dorothy Knuth was born on 7 October 1927 at Reedsburg, Sauk, Wisconsin. She was the daughter of Emil Wilhelm Karl Knuth and Theresa Fitzgerald. Dorothy Knuth died on 3 January 2010 at Rock, Wisconsin, at age 82. 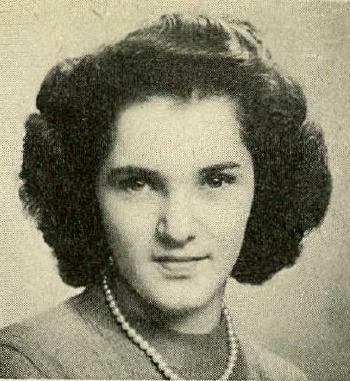 Dorothy Knuth graduated in 1945 at Reedsburg High School, Reedsburg, Sauk, Wisconsin. 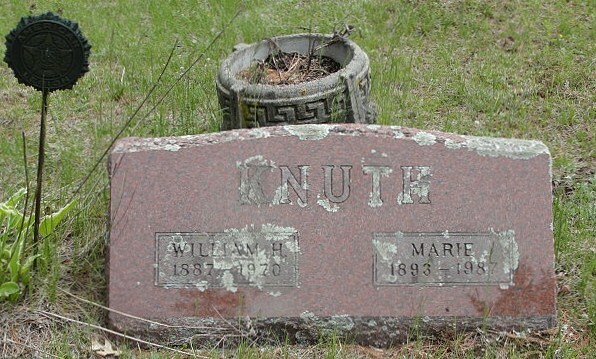 Married Name circa 1925 As of circa 1925,her married name was Knuth. Marie M. (?) was born on 23 September 1893 at Nebraska also reported as 13 Feb 1893. She married Wilhelm Heinrich August Knuth, son of August Heinrich Knuth and Augusta Pooch, circa 1925. Marie M. (?) died on 16 February 1987 at age 93. She was buried after 16 February 1987 at Saint Johns Cemetery, Rock Springs, Sauk, Wisconsin. Marie M. (?) obtained US Social Security Card at Wisconsin; last residence Reedsburg, Sauk, Wisconsin. [S250] U.S. Federal Census 1930 U.S. Federal Census, by Ancestry.com, ED56-1. Dwelling 38. 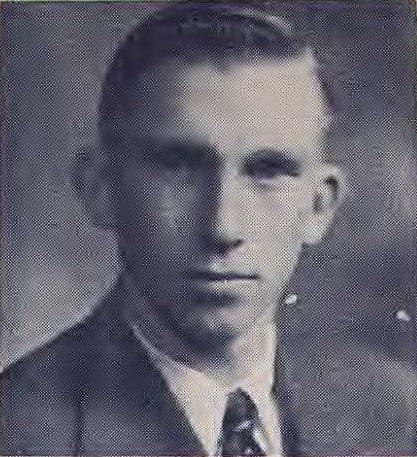 Raymond L. Biddle was born circa 1906 at South Dakota. He was the son of Henry Andrew Biddle and Catherine Lois Goyke. [S243] U.S. Federal Census 1920 U.S. Federal Census, by Ancestry.com, ED171. Dwelling 43. [S250] U.S. Federal Census 1930 U.S. Federal Census, by Ancestry.com, ED30-24. Dwelling 48. Margaret E. Biddle was born circa 1915 at South Dakota. She was the daughter of Henry Andrew Biddle and Catherine Lois Goyke. Virgil W. Biddle was born on 9 February 1917 at South Dakota. Virgil W. Biddle died in April 1978 at age 61. Virgil W. Biddle obtained US Social Security Card at South Dakota; last benefit Pierre, Hughes, South Dakota. Samuel J. Wickham was born circa 1848 at Ohio. He was the son of Robert A. Wickham and Helen Dudley. [S249] U.S. Federal Census 1850 U.S. Federal Census, by Ancestry.com, Stamp 6. Dwelling 80. [S248] U.S. Federal Census 1860 U.S. Federal Census, by Ancestry.com, Page 43. Handwritten page 481. Dwelling 315. [S247] U.S. Federal Census 1870 U.S. Federal Census, by Ancestry.com, Page 22. Dwelling 145. [S246] U.S. Federal Census 1880 U.S. Federal Census, by Ancestry.com, NA Film Number T9-0362 Page Number 638A. Lucinda E. Wickham was born circa 1851 at Ohio. She was the daughter of Robert A. Wickham and Helen Dudley. Name Variation Charlotte S. Wickham was also known as Lottie. Married Name 3 December 1874 As of 3 December 1874,her married name was Evans. Charlotte S. Wickham was born on 1 March 1855 at Jamestown, Greene, Ohio. Charlotte S. Wickham married George Allen Evans, son of William Lewis Evans and Dolly Glass, on 3 December 1874 at Union, Poweshiek, Iowa. Charlotte S. Wickham died on 23 January 1926 at Houston, Texas, Missouri, at age 70 age 70 years 10 months and 22 days. [S246] U.S. Federal Census 1880 U.S. Federal Census, by Ancestry.com, NA Film Number T9-0362 Page Number 547A. Jacob A. Wickham was born circa 1858 at Iowa. Name Variation Rena Alma Evans was also known as Lena Alma. Name Variation Rena Alma Evans was also known as Alma Rena. Married Name after June 1900 As of after June 1900,her married name was Stone. Rena Alma Evans was born in January 1873 at Iowa. She was the daughter of Thomas William Evans and Mary Jane Wickham. Rena Alma Evans married Lewis Marcus Stone after June 1900. Rena Alma Evans died on 24 March 1951 at Gregory, South Dakota, at age 78. [S245] U.S. Federal Census 1900 U.S. Federal Census, by Ancestry.com, ED72. Dwelling 90. Name Variation Helen Georgia Evans was also known as Georgia. Name Variation Helen Georgia Evans was also known as Georgianna Helen. Married Name 4 December 1892 As of 4 December 1892,her married name was Colvin. Helen Georgia Evans was born on 26 March 1874 at Searsboro, Poweshiek, Iowa. Helen Georgia Evans married Walter Lloyd Colvin, son of Lorena (? ), on 4 December 1892. Helen Georgia Evans died on 10 August 1965 at Mitchell, South Dakota, at age 91. William Powhatan Glass was born in 1775. He married Sarah Lavina Rossier on 21 December 1796 at Campbell, Virginia. William Powhatan Glass died on 19 March 1860 at Greene, Ohio. Name Variation Sarah Lavina Rossier was also known as Lavina. Name Variation Sarah Lavina Rossier was also known as Rosser. Married Name 21 December 1796 As of 21 December 1796,her married name was Glass. Sarah Lavina Rossier was born in 1783 at Virginia. She married William Powhatan Glass on 21 December 1796 at Campbell, Virginia. Sarah Lavina Rossier died on 7 October 1865. [S248] U.S. Federal Census 1860 U.S. Federal Census, by Ancestry.com, Page 147. Stamp 313. Dwelling 1065. Married Name before 1858 As of before 1858,her married name was Evans. Married Name circa 1865 As of circa 1865,her married name was Barnes. Mary (?) was born circa 1842 at Ohio. She married Ellis Elias Evans, son of William Lewis Evans and Dolly Glass, before 1858. Mary (?) married Albert L. Barnes circa 1865. [S247] U.S. Federal Census 1870 U.S. Federal Census, by Ancestry.com, Page 29. Written number 467. Dwelling 209. [S247] U.S. Federal Census 1870 U.S. Federal Census, by Ancestry.com, Page 11. Stamp 404. Dwelling 81. Nancy E. Evans was born circa 1858 at Iowa. She was the daughter of Ellis Elias Evans and Mary (?). Dolly J. Evans was born circa 1859 at Iowa. Nathan A. Evans was never married. He was born on 11 September 1876 at Millgrove, Poweshiek, Iowa. He was the son of George Allen Evans and Charlotte S. Wickham. Nathan A. Evans died on 28 February 1951 at age 74. Name Variation Anna Elizabeth Farmer was also known as Amy. Married Name 1867 As of 1867,her married name was Evans. Anna Elizabeth Farmer died at Poweshiek, Iowa. She was born on 21 April 1848 at Greene, Ohio. She was the daughter of Irwin Farmer and Lucretia Saunders. Anna Elizabeth Farmer married James Daniel Evans, son of William Lewis Evans and Dolly Glass, in 1867 at Poweshiek, Iowa. [S247] U.S. Federal Census 1870 U.S. Federal Census, by Ancestry.com, Page 12. 62. I. L. Evans was born circa 1869 at Iowa. He was the son of James Daniel Evans and Anna Elizabeth Farmer. Name Variation Dolly Viola Evans was also known as D. V.
Married Name 24 November 1892 As of 24 November 1892,her married name was Gregson. Dolly Viola Evans was born on 22 October 1872 at Iowa. She was the daughter of James Daniel Evans and Anna Elizabeth Farmer. Dolly Viola Evans married Morton Monroe Gregson on 24 November 1892. Jessie A. Evans was born circa 1876 at Iowa. Thomas Edward Evans was born in December 1879 at Grinnell, Iowa. Morton Monroe Gregson married Dolly Viola Evans, daughter of James Daniel Evans and Anna Elizabeth Farmer, on 24 November 1892. David Glass married Martha (?). David Glass was born circa 1822 at Virginia. He was the son of William Powhatan Glass and Sarah Lavina Rossier. Vincent Glass was born on 3 June 1815 at Campbell, Virginia. Vincent Glass married Delilah Stanley in October 1837. Vincent Glass died on 3 April 1893 at Greene, Ohio, at age 77. [S248] U.S. Federal Census 1860 U.S. Federal Census, by Ancestry.com, Page 147. Stamp 313. Dwelling 1064. Married Name Her married name was Glass. Martha (?) married David Glass, son of William Powhatan Glass and Sarah Lavina Rossier. Martha (?) was born circa 1829 at Ohio.